12.5" RCOS @ ~f/9 (2880 mm fl) 0.643 arcsec / pixel. Shown resampled to 2.78 arcsec / pixel. 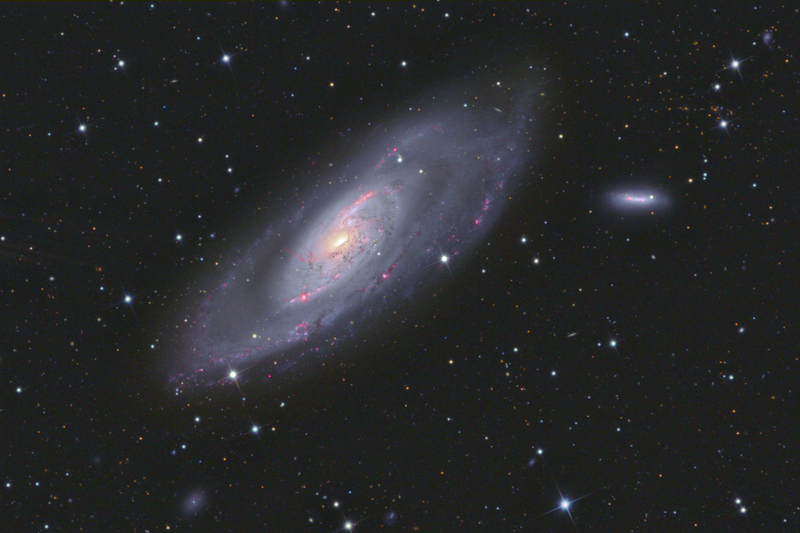 L(HaR)GB image with an LRGB overlay for star colors. The Ha data was combined with the Red using the lighten blend mode with 50% obacity. It was not necessary to add the Ha to the luminance. North is ~ to the top... the image is rotated 21 Deg's to the right. The second image shows a seldom imaged hydrogen gas jet, at the lower left of the galaxy core. 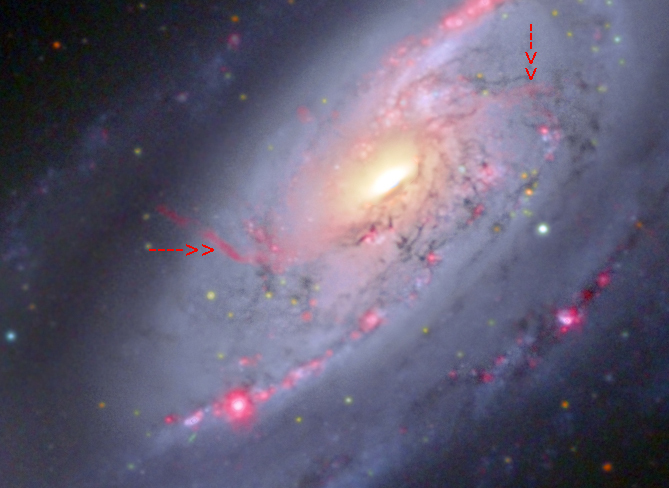 It has only recently been determined that this is actually part of a secondary set of spiral arms, indicated by the arrows. 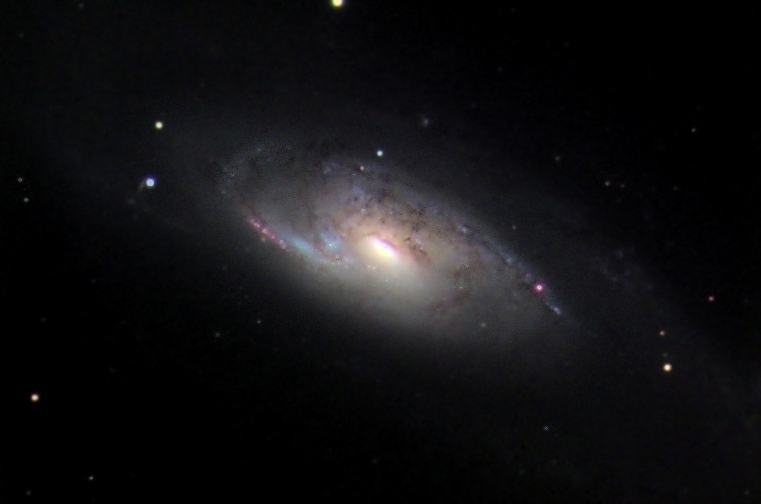 This was revealed by University of Maryland astronomers, led by Yuxuan Yang, by combining images from NASA's Chandra X-ray Observatory, NASA's Spitzer Space Telescope, the European Space Agency's XMM-Newton X-ray observatory, and data obtained almost a decade ago with NASA's Hubble Space Telescope. Place your mouse pointer over the second image to see the arms. CCDSoft, CCDOPS, Sigma Clip (pre beta 11), PhotoShop CS and Paint Shop Pro.